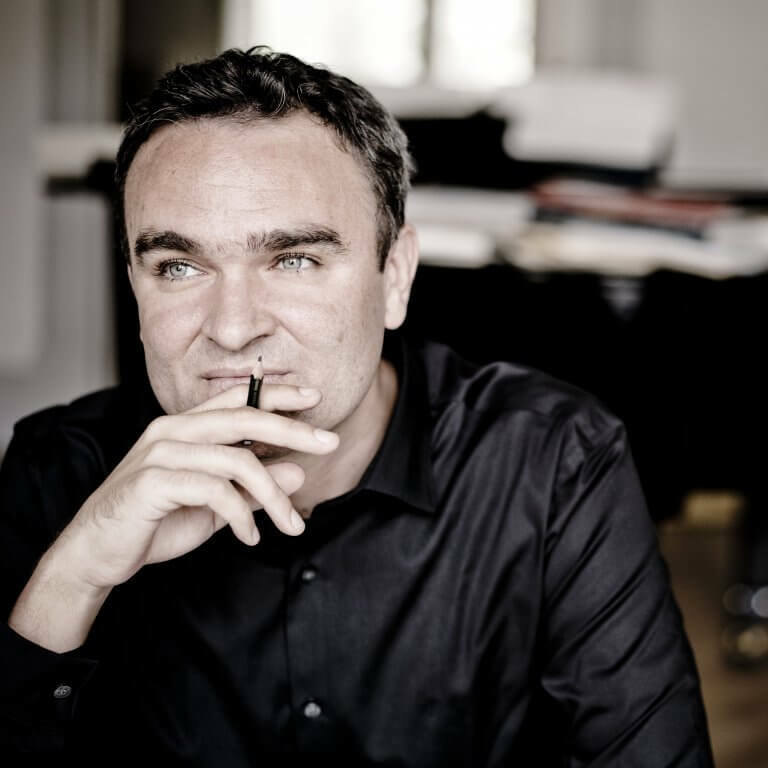 Award-winning clarinettist, composer and conductor Jörg Widmann is one of the most versatile and intriguing artists of his generation. His compositions are performed regularly by the world’s leading conductors and orchestras such as Daniel Barenboim, Valery Gergiev, Mariss Jansons, Simon Rattle, Christian Thielemann, the Berlin, Vienna and New York Philharmonics, BBC Symphony and Bayerische Staatsoper. He was invited to take up artist residencies at many leading festivals, venues and orchestras including Lucerne Festival, Salzburg Festival, Hamburg’s Elbphilharmonie (in its opening season), Vienna’s Konzerthaus, Wigmore Hall in London, Carnegie Hall in New York (in its year-long “Making Music: Jörg Widmann” series), Orchestre de Paris, Tonhalle Orchestra Zürich and in Leipzig as the first-ever Gewandhaus Composer. Over the years, his works have garnered an impressive list of awards including the Paul Hindemith Prize (2002), Arnold Schönberg Prize (2004), Claudio Abbado Composition Prize (2006), Lincoln Center Chamber Music Society’s Elise L Stoeger Prize (2009) and the German Music Authors Award (2013). As a performer, Widmann appears regularly with such leading orchestras as the Bavarian Radio Symphony Orchestra, Leipzig Gewandhaus Orchestra, Vienna Philharmonic, Orchestre National de France and Montréal Symphony Orchestra, and has premiered the works of many renowned composers. Widmann is Professor of Composition at the Barenboim-Said Academy in Berlin and Hochschule für Musik Freiburg. He is also a Fellow at the Wissenschaftskolleg in Berlin, a full member of the Bayerische Akademie der Schönen Künste, Freie Akademie der Künste in Hamburg, Deutsche Akademie der Darstellenden Künste and Akademie der Wissenschaften und der Literatur Mainz. © Hong Kong Sinfonietta Limited. All rights reserved.